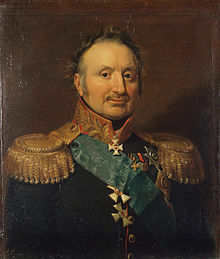 My newest podcast series will begin with the Russian Generals of the Napoleonic Era. This will be a multi-part series covering the great Generals and Field Marshall’s of both Russian and Soviet history. Part One will cover three of the six generals who would defeat Napoleon and liberate France. The first one I talk about is Pavel Chichagov who was trained in military maters in both Russia and England. While he served brilliantly in many battles, he was best remembered for letting Napoleon escape over the Berezina River in 1812. There is some talk though that it was not his fault but the fault of the second of the Russian Generals I talk about Peter Kristianovich Wittgenstein. 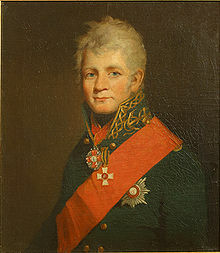 Wittgenstein, the son of a Prussian aristocratic family became one of the most respected Russian Generals of the Napoleonic Era. Unfortunately for him, when the lead General Kutuzov died in 1813, Wittgenstein was given the position where he failed miserably. 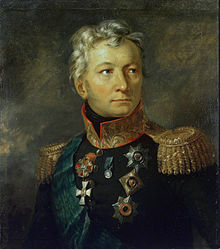 Alexander Petrovich Tormasov was the third of the Russian Generals I covered in Episode 133. He was born to an old noble Russian family and was considered a great Russian for his help in rebuilding Moscow after Napoleon’s invasion. Here are pictures of the three Russian Generals.